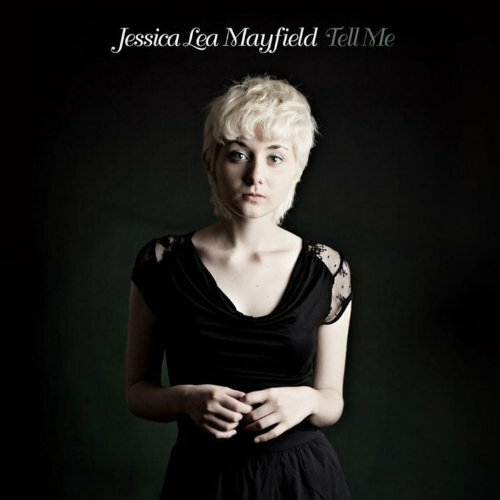 Let’s not mince words –- our advance copy of Jessica Lea Mayfield’s Tell Me was one of the few things keeping us sane during this long, sark, miserable winter. Sometimes it felt like putting “Blue Skies” on repeat for an hour straight was the only thing holding off The Shining, creepy twins, tidal waves of blood and all. Produced by the Black Keys’ Dan Auerbach, Tell Me is one of the rare records that will make you feel all warm and fuzzy, even if it’s got a major maudlin streak once you peel back the layers – misery does in fact love company, especially when it’s decked out in gorgeous vocals, breathtaking production and, most importantly, great songs. Which isn’t to say that Tell Me is a miserable record – there really isn’t a lot of wallowing, per say – but like any piece of art that presents a serious examination of love, lust and life, it’s complicated. Contradictory emotions push against each other in each line and verse, pulling the listener between envy and pity for the characters that inhabit each song, and often with envy/pity switching sides on each additional listen. Songs like the jangly, shimmering space-folk of “Trouble” and the ethereal shuffle of “Our Hearts Are Wrong” have so much depth, both sonically and lyrically, it’s almost impossible to not curl up with them and pretend the rest of the world doesn’t exist. Which is exactly what we plan on doing until spring comes.